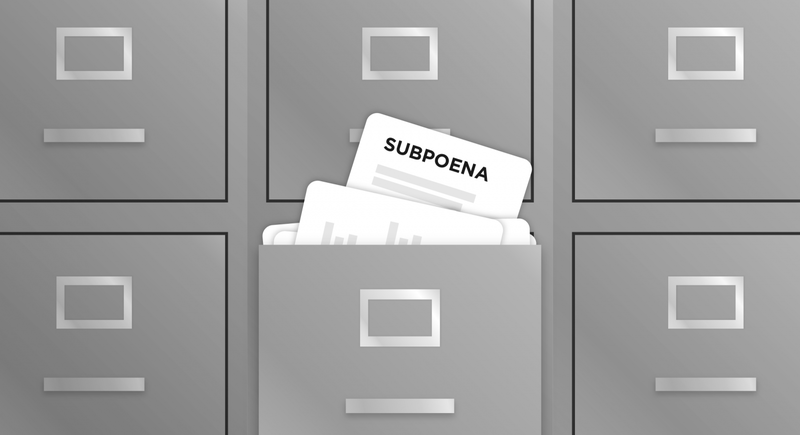 A Subpoena is a document which is served on a person or a corporation requiring the recipient to attend Court and give evidence or produce documents, or in the case of an actual person both. When a Subpoena is served it must be accompanied by conduct money, which is sufficient for the return travel between the place of residence or employment and the Court. In the case of a Subpoena that is served interstate, the conduct money would include the cost of air travel. A person or corporation served with a Subpoena has a right to apply to the Court to set aside all of it or part of it. A Subpoena may be set aside if it’s found to be an abusive process. If it is not being issued for some legitimate forensic purpose, it will be set aside. Factors that may support finding it an abusive process are relevance, that Subpoena is too wide or oppressive that has been issued for a collateral purpose. A person or corporation does not have to comply with Subpoena produced documents if they are not in the possession of custody or control of that person or the corporation. A document that is privileged must be produced to the Court, so the Court may rule upon the question of privilege. Apart from conduct money, the person who is served with a Subpoena may make application for an Order for the payment of his or her loss or expenses incurred in complying with the Subpoena. The paper on the weekend carried a story to the effect that many solicitors are no longer doing Financial Agreements. This is in relation to property matters for fear of being sued if the Financial Agreement is set aside. The Family Law Act has provisions for Financial Agreements both for married couples and for de facto couples. A Financial Agreement is not scrutinised by a Court for when it is made, however it can be set aside. In Thorne v Kennedy  HCA 49, 8th November 2007, there was a Financial Agreement before the marriage and a similar one entered after the marriage. The Applicant had been advised not to enter into the agreement, but she did so. Both agreements were set aside by the High Court. Once parties to a marriage or to de facto relationship have agreed to what should happen to their property after separation, it is preferable to deal with that by way of Court Order. This is done by consent and with parties making submissions in writing to the Registrar as to why the proposed division is just and equitable. Disposing of the matter in this way does not require an appearance and is more difficult to set aside a Consent Order than it is to set aside a Financial Agreement. How a legal system provides for two ways that property passes on the death of the owner of the property. 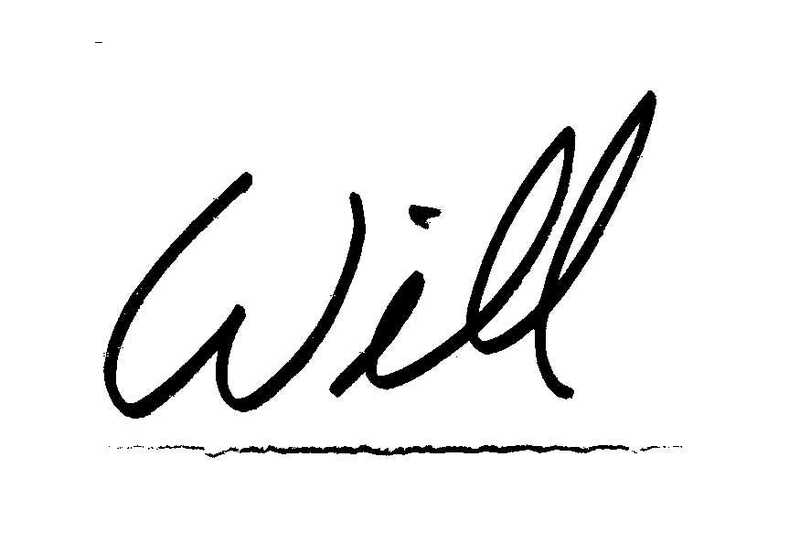 If at the date of the death you do not have a valid will, your estate passes on what is called an intestacy. This means that you have no choice in where your property goes, and it is decided by the intestacy rules. Presently, those rules provide for your estate to the disposed of. In this way, your spouse gets $150,000 plus household chattels plus one half or one third of the residue, with the balance going to your children. This means, if your estate consists of a home and little else, your spouse will not be able to reside in the home because the home will have to be sold to satisfy the intestacy rules. (b) This will not prevent an application under the Family Provisions of The Succession Act 1981 by a dependent or child for provision out of the estate. This mean legal costs will be incurred and as a general proposition they are born by the estate, thus reducing the pool available. When a Solicitor draws a will for a client, that Solicitor will ensure that the client is aware of all the property to be disposed of. 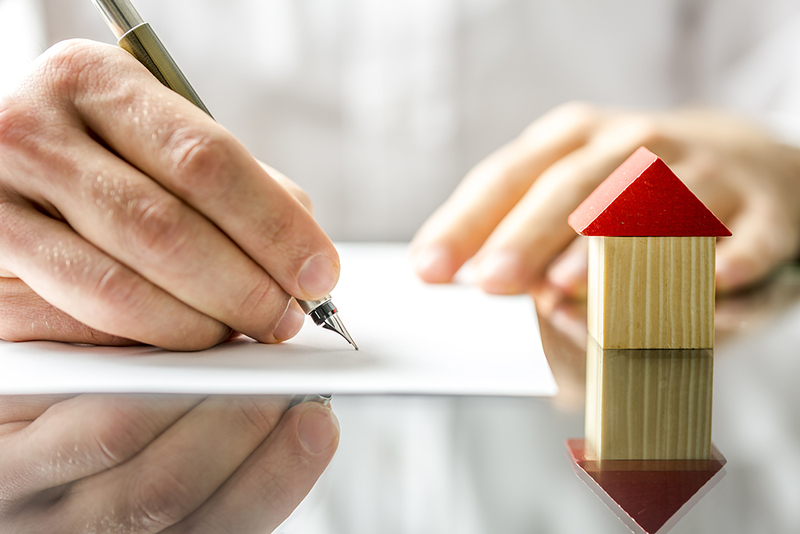 The Solicitor will also ensure the testator is aware of the persons with competing interests in relation to the distribution of the property, sometimes called the testator’s bounty. It happens sometimes, that the testator wishes to leave somebody out of the will who would normally be expected to be a beneficiary of the testator’s bounty. In those circumstances, the Solicitor will ensure that the reasons for a disappointed beneficiary being left out are incorporated in the will or in another document. This is to try and prevent an application under the Family Provisions of the Succession Act 1981, which again will cause the estate to be diminished. The cost of a properly prepared will is very small, particularly compared with the expenses that will be incurred if something goes wrong under either an intestacy or a will that is not properly drawn. What do I do when my child has not returned to my care? Parenting Orders provide for a child to live with one party and spend time with another or in some circumstances live with each party 50 percent of the time. It happens that sometimes one party does not return the child. The party who does not comply with the Order is liable to be punished for a contravention of that Order. However, that does not of course get the child returned to the care of the parent with whom the child should be. There are incidences where the whereabouts of the parent is known, but the whereabouts of the child is not. In other incidences the whereabouts of the parent and the child are not known. In those circumstances, the Family Law Act makes provision for the location and the recovery of the child. The first step is to apply for a Location Order. A Location Order can require for a person to provide the court’s Registry Manager with information that person has or obtains about the child’s location. This can also be directed to the Secretary of the Department or an appropriate authority of the Commonwealth Instrumentality to provide the Registry Manager of the court with information about the child’s location that is contained or comes into the records of the Department or Instrumentality. The most likely department in these circumstances will be the Department of Human Resources, which will have information as to where the party resides because of payment made to the party. As usual, in deciding whether a Location Order should be made the best interests of the child is the paramount consideration. The information provided on a Location Order is subject to strict control and the Legal Advisor for the Applicant needs Leave of Court to obtain that information. However, one will expect that leave would normally be granted. 5. 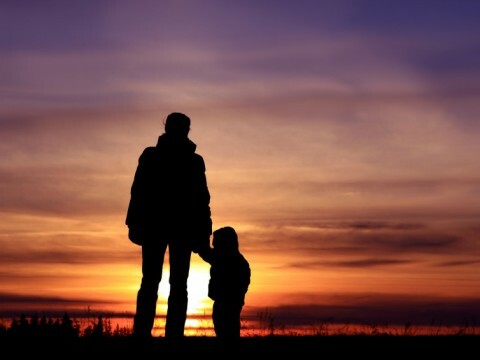 The person who has parental responsibility for the child. It is usual when making a Recovery Order for the Court to authorise the Federal Police with such assistance as the police require. This could be by force if necessary and to stop and search any vehicles, vessels or aircraft and to enter and search any premises or place for the purposes of finding the child. A Recovery Order works when the child is in the jurisdiction, namely Australia, or if the child is in a Hague Convention country. Not all countries are signatories to the Hague Convention. Parents should ensure that the other parent does not take a child out of Australia to a country that is not a party to the Hague Convention. If you are involved with any sort of litigation that goes to trial, you will be required to give evidence. 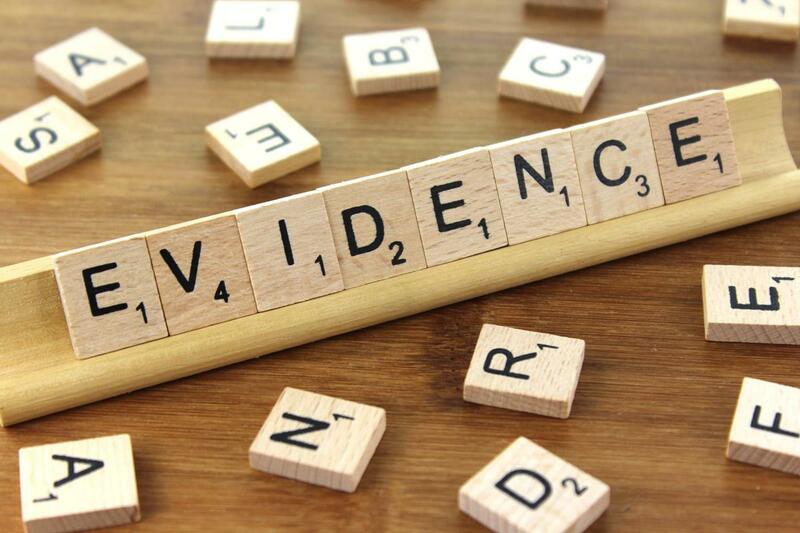 Evidence is divided into three sections, evidence in chief, cross examination and re-examination. In some jurisdictions such as the Family Court, the Federal Circuit Court and the Federal Court, evidence in chief is given by affidavit. That is, rather than having the Plaintiff or Applicant sit in the witness box and give oral evidence in chief, prior to the hearing date the evidence in chief is reduced to writing and is sworn to. Evidence in chief outlines the Plaintiff/Applicants’ story and complaints. If you are giving evidence in chief in a non-affidavit jurisdiction, your Barrister/Solicitor will take you through your evidence prompting you as you go. You cannot be asked a leading question, that is a question that suggests the answer. Once evidence in chief is completed, you’ll be cross examined by the opposing Barrister/Solicitor. That person is allowed to ask leading questions and is required to put his client’s case so that you have an opportunity to comment on it. When you are being cross examined the question is not evidence. If you disagree with the question, then there will be no evidence on that point. However, if you agree with the question that becomes evidence and that evidence will be acted upon by the Court. After cross examination, you may be re-examined by your Barrister/Solicitor. You will only be re-examined if your Barrister/Solicitor wishes to clear something up that you have said in re-examination. This will often be something contrary to what you have said in a conference. In re-examination, your Barrister/Solicitor is not allowed to ask leading questions. What usually happens is that your Barrister/Solicitor will take you to the evidence that he believes needs clearing up and ask you some non-leading questions to endeavor to do that. When you are giving evidence, if the opposing Counsel objects whilst you’re in evidence in chief or if your Counsel objects whilst you are being cross-examined, do not answer the question until such time as the Judge rules whether or not you have to.